You Are Here: Home » Balochistan, Human rights » Why does the killing of Baloch by ISIS affiliates make no news in the mainstream media? On 28th August this year, some masked men came from nowhere on motorcycles, barged into a zikrkhana (place of worship) and opened fire indiscriminately at people who were engaged in their routine prayers. Six people were killed on the spot and scores were seriously wounded. One succumbed to his wounds before getting to a nearby hospital while others were transported to Karachi for treatment as there are no hospital facilities in the Awaran district headquarters. Among those killed on the spot was the father of Raza Jahangir (the Secretary General of Baloch Students Organization Azad who was himself killed by paramilitary troops in Turbat along with his political colleague Imdad Bojair, a leader of Baloch National Movement). This incident took place in Teertej, a village in Pakistani Balochistan 12 km west of Awaran, district headquarters. Teertej has a population of about 3000 souls, all belonging to a minority called the Zikri Baloch. According to eye witnesses, the culprits first chanted Allah-o Akbar (God is great) and then opened fire on people gathered inside the prayer house. They then escaped from the scene heading toward the nearby Frontier Constabulary (F.C.) camp in Awaran. The eye-witnesses account substantiates that the plot had been engineered by the Pakistan F.C in Awaran. The Zikris community has a large population in Balochistan. 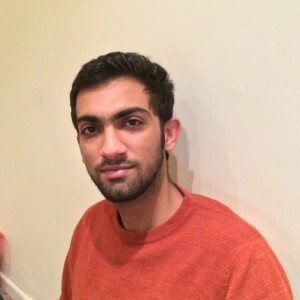 Zikri Baloch are playing a vital role In the on-going freedom movement in Balochistan and therefore the Pakistani security establishment deliberately want to target the movement, especially in coastal areas and in the Makuran division through the hands of radical forces like “Lashkar-e-Korsan”. The Baloch nation is, by birth, a secular and peaceful nation but the Pakistani establishment want to create harassment among it. Exactly three days after this incident, armed men, members of an anti-Baloch death squad group active in looting and plundering local people, stopped four vehicles in Pidrak, 30 km from Turbat. These vehicles belonged to members of the local Zikri population. Passengers were off-loaded, three vehicles were set on fire and one was taken away with three men from Gwarkop, a valley 15 km east of Pidrak. The decomposed, mutilated bodies of two of them were found dumped in Pidrak on 23 September 2014. They were named as Bahot son of Pir Mohammad, 70 years old, and Wali Mohammad son of Yousaf, 45 years old, both residents of Gwarkop. They were probably killed soon after their abduction. Wali Mahmad drove a passenger vehicle transporting goods and passengers to Turbat and Pasni and Bahot was a daily wages labourer. In this case, like many other cases in Balochistan, no FIR (investigation report) was registered by the local police and no investigation was started by incompetent authorities to find out who was responsible of this heinous crime. Everybody in Balochistan can easily guess who are the killers and for whom they work. Analysts in Balochistan believe that, in both of these incidents, the Zikri Baloch were targeted and their vehicles were snatched to discourage them from taking part in the Baloch liberation movement. In the same manner, a bus carrying Zirki pilgrims travelling from Turbat to Gresha in district Khuzdar was targeted with a roadside explosive on 28 July 2014. At least 19 people were injured with two reportedly with very serious wounds. The bus was totally destroyed in the blast. Since the Pakistani media is not interested in such incidents and does not follow such cases, it is not known if there were later any fatalities among those seriously injured. On 29 September, exactly a month after the Teertej massacre, and some 230 km away from Turbat, armed men intercepted a vehicle coming from Turbat and heading to Gwarkop. Five of its occupants were kidnapped and the vehicle full of food products, such as bags of flour, sugar, dried milk, cooking oil, medicines, etc. was burnt to ashes. In this case too, the victims were Zikri and all belonged to Gwarkop. This incident took place in Pidrak where local death squad groups have their check posts and charge extortion money from vehicles passing from their controlled territory. Four of the victims were brothers who were going to Turbat to receive another brother who was coming from Dubai where he works; he wanted to spend his Eid holidays with his family in Balochistan. They were named as Ghaus Bakhsh, Mayar, Mohammad, Zahid Ali; the name of the fifth victim is not known to this writer. One day later bullet-riddled bodies of Ghaus Bakhsh and Zahid Ali were found dumped on a roadside, one brother was released and and the whereabouts of two others are still unknown. As the Gwarkop population is entirely Zikri, the culprits have left the message that either the total population converts to Sunni Islam and joins holy war against infidels or it gets ready for death to the last person. 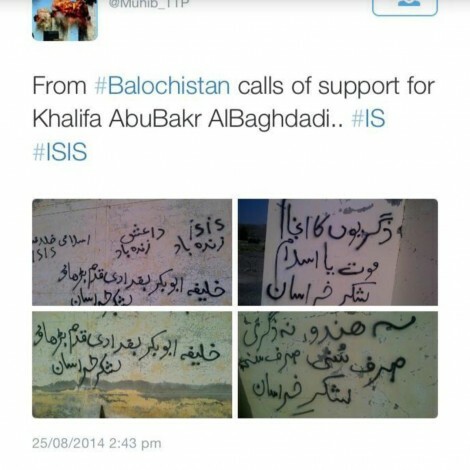 These killing squads call themselves the local brigade of Lashkar-e Khorasan and they have painted the walls of towns and villages with graffiti against the Zikris and the West. This graffiti warns Zikris to either convert to Sunni Islam or face death. There are painted slogans against Baloch freedom fighters such ‘death to Baloch liberation movement’. This graffiti in Urdu language reads: (1) “The Fate of Zikris: Conversion to (Sunni) Islam or face death”; (2) “long live ISIS”; “Long live Daaesh”; “Long live Islamic Caliphate”; “Step forward khalifa Abu Bakar Baghdadi, we are with you”; (3) Neither Hindu nor Zikri, only Sunni, only Sunni; (4) “Step forward khalifa Abu Bakar Baghdadi, we are with you”. All these and similar other graffiti are signed by Lashkar-e Khorasan which takes its name from Khorasan, a geographic area extending from eastern Iran to Afghanistan and Central Asia. This group is said to be a scion of the Khorasan group led by a Kuwaiti jihadist named Fadhli, a veteran Al-Qaeda operative. The US State Department describes Fadhli as a “senior facilitator and financier” for Al-Qaeda and in 2012 the US government announced a $7 million reward for information about his whereabouts. Members of the Khorasan are part of al-Qaida’s core operation, a roster of individuals who fought together in Afghanistan and Pakistan, and who even lived on the borders of Iran and Pakistan after the attacks of 11th September, 2001. This group is said to be an ally of Jundullah, a Sunni militant group fighting the Shia state of Iran. Jundullah is said to be patronized by Saudi Arabia through Pakistan and is also active in Pakistan where its targets are Baloch nationalists. Its Sunni ideological base makes it a natural ally of the Pakistani state apparatus and it is considered an arch-enemy of Baloch nationalists in Pakistani Balochistan who are fighting against the Pakistani state for an independent Balochistan. Jundullah uses the card of Baloch nationalism in Iran to fight against the Shia state of Iran but, in Pakistan, it uses the card of Sunni radical ideology, allying itself with the forces of Pakistan engaged in a brutal repression against Baloch nationalist forces. In the presence of these and several other jihadi groups, the Zikri population of Balochistan have become prisoners in their home towns. Zikris living in Mashky and Gresha in District Khuzdar, Teertej and Kolwah in District Awaran, and Pidrak in District Kech are literally cordoned off by these groups and made prisoners in their villages. Anybody who dares go out to buy some rations outside their home towns is targeted. Local reports say that they can’t even go to irrigate their lands or live a peaceful life in their homes for the fear of these jihadists who may invade a village at any time. Local people are poor and do not keep even a sharp knife while these jihadists have the most modern and sophisticated weapons. Many political observers predict that the worse is still to come. Ex-Senator and Balochistan National Party (Mengal) Secretary General, Mr Sanaullah Baloch, writes that it is not in anybody’s imagination what havoc these jihadists may play in Balochistan once they return back from the Middle East where they have joined the ISIS and Daaesh forces fighting for an Islamic Caliphate. One woman from the Gwarkop area (there are five villages in the Gwarkop area all inhabited by Zikris) told the Balochi-language radio station Gwaank of Stockholm that they have run out of all food item and medicines. No one has gone to main city centres for shopping and so they don’t know how to feed their families. Members of the so-called Lashkar-e Khorasan have declared war against them and set up check points on the main roads leading to Turbat and Pasni, the towns where they usually buy their rations and sell their products. Both federal and provincial governments are unmoved by their plight and so is the international community. The Baloch population is left at the mercy of those who have no such word in their vocabulary. A delegation of Zikri notables have reportedly recently met the “toothless” (a term coined by Baloch intellectual Mir Muhammad Ali Talpur and now commonly used in Baloch circles) Chief Minister of Balochistan and asked for protection for these defenceless people but he is said to have responded that first they should arrest and hand over the Sarmachars (freedom fighters of Balochistan) of their areas to the security forces and then the Lashkar-e Khorasan, Jesh al-Adl and other groups would be asked to leave them in peace. It is time for the world community to intervene and save the lives of thousands of innocent people, including women, children and the elderly. The UN, Amnesty International and Human Rights groups should intervene and ask the federal government of Pakistan and provincial government of Balochistan to immediately disband apparently state-armed groups in occupied Balochistan and remove the check points. People should be allowed to live a normal life as before and Pakistan should be declared a war criminal for its continuous genocidal policies against the Baloch population.